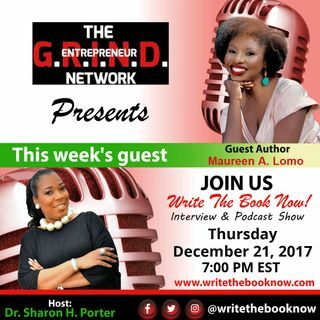 Maureen Lomo aka M. L. Wonder has visited over twenty countries and has lived and worked in four countries on three different continents. Her former career as a diplomat presented her unique experiences such as meeting two former presidents and first ladies at events surrounding Nelson Mandela’s memorial service. M.L.’s nearly ten years of federal service fulfilled her, and she credits her time overseas for illuminating her soul’s purpose and helping uncover ... See More her talent, creative writing. M.L. now adventures into the world of creative service by writing ‘heart-provoking’ literature - entertaining and engaging stories with impact. Her love of creativity shines through as she brings her spirit of freedom, discovery and transformation to her debut novel, Tenth Year in the Sun, a fascinating journey which reveals provocative insights along the way. The inspiration for Tenth Year in the Sun, came after a vivid dream, and draws on M.L.’s own dual-cultured upbringing and international background to create a universal tale of transformative sisterhood, commitment, and inner-change while bringing to light global issues dear to her heart. M.L. was born in Ghana and grew up in Louisiana, Georgia and Texas. She currently lives in Austin, Texas where she enjoys a great cup of coffee, the outdoors, and spending time with family and friends.